Today’s business environment places increasing demands on the user to combine business analytics with big data because the sheer complexity of the problem forces a user to understand the underlying economic drivers of the data. In the blogs on this site we illustrate how business analytics lets you work with big data to generate increasingly finer information. For example, Understanding the Degree of Operating Leverage blog introduces you to the problem of analyzing operating risk. This is the risk associated with operating leverage, measured by combining business analytics with the horizontal analysis of a corporation’s cost behavior. The technology lets you pull of this analysis quickly for any publicly listed corporation and its competitors, but as the quote in the introduction asserts, the comparative advantage is not created from the database and the technology, but from knowing how to use this information. 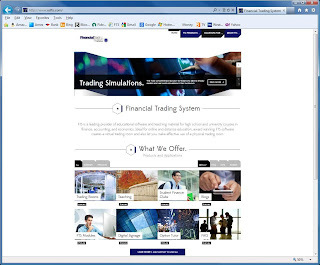 The Interactive Financial Statement Module shows you how to acquire these skills -- by doing!